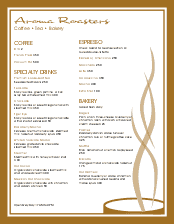 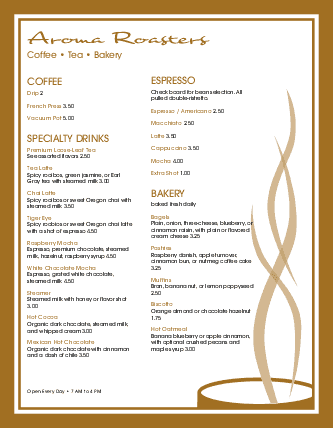 A hot cup of coffee with steam rising from it sits in the lower right hand corner of this espresso coffee menu. Coffee listings are presented in two columns to the left. 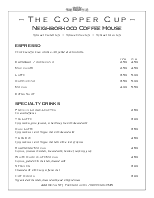 The coffee shop's name is written in brown script on top of the menu. 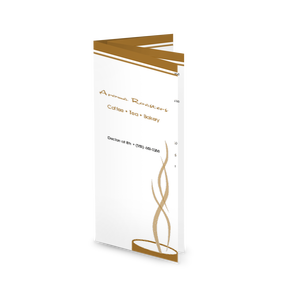 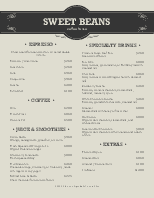 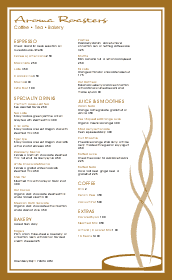 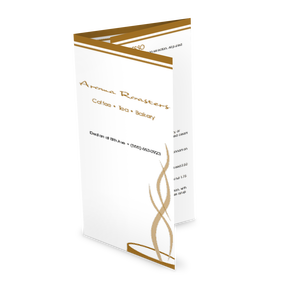 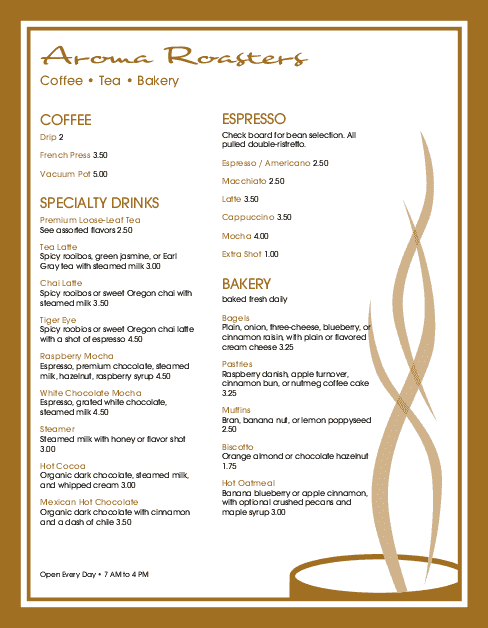 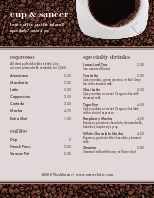 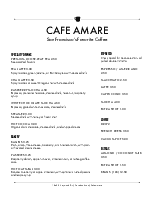 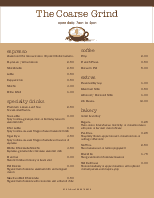 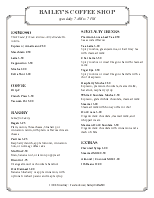 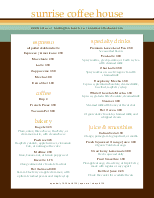 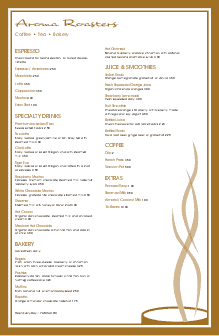 This coffee shop menu can be updated online using the Menu Editor.